With God all things are possible. . . .
Oh God . . . what have I done? Broken heart's club . . . Put God first in your life . . . make Him first, read His Word, and get to know Him first. Get your life in Order with God first in your relationship , then your spouse. Truly surrender your life to Him, believe on Him, and the fact that God sent His son to die for your sins, rose from the dead, and now sits on the right hand of our Father in Heaven all so that you can be reconciled to Him. Ask God to reveal Himself to you. Ask God to forgive you of your sins. Ask Him to heal and save your marriage. Put your trust in Him. You will be surprised at how He can supernaturally, divinely intervene. He wants to be a major part in your relationshiip and your lives because He loves you. God hates divorce! Though it may seem simple . . . it is not. 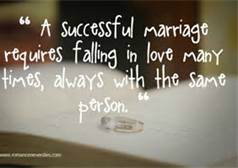 Marriage is a tremendous amount of work, but can be good in the development of your character . . . into the Character of God. No one says it will be easy, for it is not. (If they do . . . it's a lie) Life on earth is preparation for your life in Heaven reconciled with God your Father, which includes the marriage process here on earth. Do you pray for your marriage every day? Do you pray for your husband or wife every day? If you don't. . . start now! Ask God to help you in your marriage and to give you Wisdom. The book of proverbs is the book of Wisdom. Read it. Read the Word of God. Ask God to show you what you need to do to save your marriage. God speaks to you through His Word . . . did you know that? He will speak to you on a personal basis. . . . one on One. Put your trust in God for He loves you! Did you know that? He doesn't want you to end up in divorce. What you do on earth is a determination of where you will be in heaven. You can be as close to God as you desire. If you believe that He sent His son to die and rise, as reconciling you to Him, and be transformed to live your life on earth for God, everything will be added to you! Yes, there will be tribulation and pain and suffering. It's all a part of life here on this earth. But with God all things are possible! With God, you will eventually die as we all do, and live forever with God in Heaven where there is no longer pain and suffering and no more tears. Without God, there will be a separation from God when you die and tremendous pain and suffering and that is Hell. . . in a nutshell. So choose life, and life more abundantly beloved child of God. And, if you are a believer in Christ, then submit and surrender your life to Him, pray for your spouse and marriage and know this, God is faithful. . . He will answer your prayers. It probably will take alot of warfare, for we war not against flesh and blood, but against the principalities, powers, rulers of darkness on this earth, who are used by satan to kill, steal and destroy. Don't give up! Submit to God, resist the devil and he must flee. . . This is a great start to the healing process of your marriage. This will overflow into every part of your life and you will be come an overcomer and an adopted son or daughter of the most High God! Only believe. This is also a great opportunity to renew or receive Christ as your Savior . . . it is life changing! If you feel the "tug" of the Holy Spirit and your Father in Heaven drawing you, then begin your new or renewed life in Christ with the prayer below backed up with the Word of God. John 3:16 … Thank You Lord for loving me so much that You gave Your one and only Son, that when I believe in Him I will not perish but have eternal life. I believe in Jesus with my heart and I ask you to forgive me of all my sins. I renounce satan and all his works and ways, I choose the truth and disavow satan and all his lies. I ask this in the name of Jesus Christ my Lord. Romans 10:9-10 … Thank You Lord that when I confess with my mouth Jesus as Lord, and believes in my heart that God raised Him from the dead, I will be saved. I believe in my heart and accept You as Lord. I ask this in the name of Jesus Christ my Lord. Isaiah 45:8, 2 Tim 2:10 … Thank You Lord that salvation will spring up within my heart, that I may obtain the salvation that is in Christ Jesus, with eternal glory. In the name of Jesus Christ. 2 Peter 3:18 … Thank You Lord that I may grow in the grace and knowledge of our Lord and Savior Jesus Christ. In the name of Jesus Christ. Psalm 19:10 … Thank You Lord that I may grow to find Your Word more precious than much pure gold and sweeter than honey from the comb. In the name of Jesus Christ. Psalm 42:1-2 … Thank You Lord that You will create within me a hunger, a longing, for You and Your will. Set my heart flames a fire in love with you. Reveal yourself to me. Make me to love you as you love me. In the name of Jesus Christ. Dear Jesus . . .
All that I am is Yours. I surrender to You now. All that I have is Yours. I ask You to forgive me of all my sins against you! Please wash them away with the blood that You shed for me at the cross! Nail my sin and selfishness to the cross! I repent Lord! Create in me a clean heart oh God, and renew the right spirit within me! Cast me NOT away from thy presence and take NOT thy Holy Spirit from me! Forgive me of all my sins! I want to be covered and protected! I want to go to heaven instead of hell! I believe and speak with my mouth that You died for my sins at the cross at Calvary, and was buried. I believe that You took my sins to hell and rose from the dead on the third day. I believe that You now sit at the right hand of my Father in Heaven. I believe that You alone are the Savior of the world! I believe that You are my Savior! You are the one and only true Messiah! I renounce satan and all his works and ways! I choose the “truth” and disavow satan and all his lies! I make You my Lord and Savior, Jesus the Christ (Yahshua HaMashiach)! This is something that only You can do, so take my heart and cleanse it of all unrighteousness! Purify me and don't stop till I go to heaven to live with You forever! You are faithful! 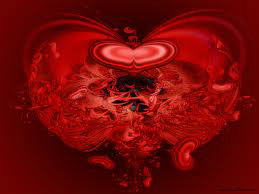 I give You my heart, mind, body and soul! All that I have is yours! Come into my heart and live within me! I want to reflect your Spirit! I want to be like You! I was made in your image! Here I am . . . I surrender my life to You! Fill me with Your Spirit! Lead and guide and direct my path! I ask You for your grace to be an overcomer and finish the race You have called me to run! Thank You for Your lovingkindness! Thank You for drawing me close to You! Thank You Father God! In the name above all names I pray, Yahshua (Jesus)! Amen! Learn to live . . . There's always hope . . . never give up beloved! Keep on . . . keep on! Enduring Loneliness during separation . . . When no one else supports you, Christ stands with you. Loneliness is one of life’s most painful experiences. Since God created us as relational beings, the absence of companionship can be very discouraging. At some point, all of us have probably dealt with feelings of isolation. But it’s especially difficult when we’re going through a trying situation and there is no one to help or encourage us. What we want at that moment is companionship, support, and comfort so that our emotional pain will go away. But sometimes the situation persists, and the isolation seems as if it will go on forever. At times like this, we need courage to endure. Did you know that God can use your loneliness to achieve His purposes in your life? Sometimes He allows such situations because they are prime opportunities to develop godly character within us, train us to depend on Him, and bring us into a closer relationship with Him. When we’re all alone and others are unable or unwilling to help, He is the One who never leaves us. Paul knew the pain of loneliness. After many years of faithful service to the Lord, the apostle found himself in a cold, dank Roman prison. His last letter to Timothy gives us a glimpse of his conditions, priorities, and attitude during the final days of his earthly life. Although he had continually given himself in service to others, at the end of his life, Paul was lonely; only Luke was with him (2 Tim. 4:9-16). Demas, one of his former companions, had deserted him, and other coworkers had moved on to various places. And sadly, at his first defense before the Roman court, Paul says, “No one supported me, but all deserted me” (v. 16). Be careful not to spiritualize Paul. When we make him out to be a “super saint,” we miss seeing the ways God worked in his life and fail to realize that He could accomplish the same things in us. Paul was a flesh-and-blood person with all the weaknesses of humanity. He struggled with feelings, frustrations, and difficulties, just as you and I do. Put yourself in his place, and feel the discomfort and isolation of his last days. Paul experienced loneliness on so many levels. He missed the company of those he loved and felt the pain of being deserted by Demas. The constraints and discomforts of prison life added to his sense of isolation. He was no longer free to do what he loved most—to travel the world, spreading the gospel, starting churches, and discipling believers. And with each passing day, he knew his death was imminent. But prison life was not the only isolating situation Paul faced. When he was called before the Roman authorities to make his defense, no one supported him. Yet he tells us that he was not alone. The Lord stood with him and strengthened him so that he could fully accomplish God’s purposes (v. 17). The assurance of Christ’s presence. Though the Romans ruled the world, the Ruler of the universe was standing beside Paul. One man plus Christ is more powerful than any earthly authority. When he faced the court, I am sure his courage grew as his thoughts raced to past situations when the Lord had been with him in danger and difficulty. I’d like to urge you to write down what God is doing in your life. Having a written account will remind you of His past faithfulness and encourage you to trust Him with your present situation. Even though our personal experiences with God are invaluable, our greatest source of assurance is the Bible. Throughout its pages, the Lord tells His people that He is with them. Before Christ ascended to the Father, He promised His followers, “I am with you always, even to the end of the age” (Matt. 28:20). In fact, believers have the Holy Spirit within them, and He will remain there forever (John 14:16-17). In times of weakness, loneliness, or fear, remember that the Lord is always with you—even if you can’t perceive Him. The reality of God’s constant presence with us is a fact, but we are not always aware of Him, especially in lonely periods. Haven’t you sometimes wondered, If He’s with me, why can’t I sense Him? Why do I feel so alone? When His presence is undetectable, our courage to face isolation and difficulty weakens. At times like this, we need to depend on fact, not feelings. Rely on the truth that He will never leave or forsake those who have been saved (Heb. 13:5). The provision of divine strength. The second way the Lord helped Paul face the Roman authorities alone was by strengthening him (v. 17). Years earlier Paul had written a letter to the Philippians telling them, “I can do all things through Him who strengthens me” (Phil. 4:13). Now he was practicing what he preached. The powerful presence of the Lord gave him the boldness he needed to proclaim Christ in this threatening situation. In his lifetime of walking with Christ, the apostle had learned that times of weakness were God’s invitation to depend on Him. When Paul was struggling with a “thorn in the flesh,” the Lord said to him, “My grace is sufficient for you, for power is perfected in weakness” (2 Cor. 12:9). Don’t let yourself feel hopeless in your loneliness. When you are emotionally, physically, or spiritually weak, you are in a prime position to witness firsthand the power of God working within you. He’ll give the strength and courage to endure whatever you are going through. The fulfillment of God’s calling. One thing we can rely on is God’s faithfulness: He will always empower us to fulfill His purposes for our lives. Paul said that the Lord strengthened him “so that through [him] the proclamation might be fully accomplished, and that all the Gentiles might hear” (2 Tim 4:17). He knew this was where God wanted him to be—that his incarceration and trial were an integral part of fulfilling his calling. In fact, before Paul’s first imprisonment in Rome, the Lord clearly told him this was his destiny. When the Jews in Jerusalem were trying to kill him, Jesus stood by his side and said, “Take courage; for as you have solemnly witnessed to My cause at Jerusalem, so you must witness at Rome also” (Acts 23:11). And during a storm on the way to Rome, an angel of God stood before him saying, “Do not be afraid, Paul; you must stand before Caesar” (Acts 27:24). Since Paul’s desire was to do God’s will, we can be sure that he jumped at this chance to proclaim Christ to the Roman rulers of that day. He didn’t compromise or soften his message in order to save his own life. When a person has the conviction that he is doing the work God has called him to accomplish, he’s filled with zeal and bravery, which all the forces of evil cannot destroy. This display of courage was not Paul’s first; his previous history of boldness had shaped his current response. Whenever we stand up for what we believe, God uses that as an opportunity to strengthen us for the next challenge—which may very well be more difficult and costly. Paul’s life was on the line, but he did not consider his life as dear to himself. His goal was to finish the ministry he’d received from the Lord Jesus (Acts 20:24). The fear of death can cause us to lose courage, but the realization that God holds our days in His hand gives us the confidence to press on. The Lord has a course mapped out for each of us, and He guards our way as we seek to fulfill it. Although Paul was willing to die as a result of his testimony before the court, the Lord’s purposes for him were not yet complete; therefore, his life was spared (2 Tim 4:17). To the casual observer, Paul’s ministry appeared to be over. After all, he was getting older and for the second time in his life, he was stuck in a Roman jail, unable to do what he’d done before. But God doesn’t count the value of our days as man does. In His eyes, a bedridden believer in a nursing home still has a purpose and a calling from Him. You can be sure that if you are breathing, the Lord still has plans for you. Maintain an eternal focus. Throughout his prison ordeal, Paul was able to respond in a godly fashion because he never lost his eternal focus. His goal was to finish what the Lord had called him to do and receive the heavenly reward laid up for him (2 Tim. 4:6-8). Without this kind of eternal perspective, we are all likely to descend into self-pity or bitterness. Keep reaching out. But Paul never became inwardly focused. Until his dying breath, he looked for ways to share the gospel of hope. His last letter is filled with concern for others and advice for his dear friend Timothy. The limitations imposed by his situation did not hinder him from serving and caring for other people. Hold no grudges. Despite being abandoned, Paul did not hold a grudge. When no one supported him at his trial, he said, “May it not be counted against them” (v. 16). He wasn’t even bitter toward God because of his lonely situation. Although a prison hardly seemed a fitting end for such a faithful servant, Paul considered it the last phase of his assignment from the Lord. He courageously endured until God brought him safely into His heavenly kingdom. Stay in the word. As Paul closed his letter, he requested little from Timothy: just a cloak and “the books, especially the parchments” (v. 13). The cloak was obviously for his physical comfort, but the reading material was for spiritual support. The parchments were probably copies of the Old Testament—though he didn’t have long to live, Paul wanted the Scriptures. They had guided his heart and mind for so many years, and he longed for their comfort and encouragement in the cold and lonely dungeon. For all of us, there will be times when we feel alone or when others are unable or unwilling to help. But dwelling on our situation or others’ wrongs against us leads only to resentment and self-pity. However, if we seek the Lord and rely on the truth of His Word, we will discover the comfort and strength of His presence. Courage will enter our souls, empowering us to endure loneliness and finish the course God has set for us. 1. Read 2 Timothy 4:6-22. What mindset grounded Paul during this difficult season of his life (vv. 6-8, 18)? 2. What contributed to his loneliness (vv. 9-16)? Describe his attitude toward those who had let him down. 3. How did the Lord help him (v. 17)? 1. Read 1 Kings 19:1-18. Elijah felt totally alone after a great spiritual victory. Where was his focus (vv. 1-4)? How did his perspective shape his emotions and outlook? 2. Before addressing emotional needs, how did God meet his physical needs (vv. 5-8)? 3. How did the Lord interact with Elijah (vv. 9-13)? Was He gentle or harsh? 4. Elijah wanted to quit, but God was not finished with him (vv. 14-18). When we feel all alone, how does a revived sense of purpose give courage to persevere? 1. Read Psalm 71. Where do verses 1-6 show that the psalmist placed his hope? 2. Why was he lonely (vv. 7-12)? 3. How did he respond to his situation (vv. 12-16)? 4. What goal gives courage to persevere (vv. 17-21)? What is the heart attitude that permeates verses 22-24? For more information on the above article click the above link . . .
Help . . . I need you so bad God! Draw close to the Great Healer of Broken Hearts . . . He cries with you . . . When life is too much to bear . . . Prayer for marriage . . .
Dear Lord, You know my heart is broken, that I have a troubled spirit, and a longing for Your comfort and the answers I seek during this time of despair. So I thank You for Your Word assuring me that from the very beginning, You created my marriage as a one flesh covenant relationship, saying that what You joined together, no man or woman should separate, and that You hate divorce. And thank You for Your promise to heal my broken heart, and bind up my wounds, that You will comfort me as I mourn, and that You will bestow on me a crown of beauty instead of ashes, the oil of gladness instead of mourning, and a garment of praise instead of a spirit of despair. Thank You, Lord, that instead of shame or disgrace, I will rejoice in my inheritance, that I will inherit a double portion in my life, and that everlasting joy will be mine, as You restore my marriage, which Satan came to destroy. I thank You that in accordance with Your Word, I can approach Your throne of grace with confidence and receive mercy and grace to help me in my time of need. Thank You for Your promise that all things are possible with You, Lord Jesus, and that You, and You alone, will give me peace that transcends all understanding. Thank You for the assurance that no wisdom, no insight and no plan can succeed against You. And thank You for having ________’s heart in Your hand, and for directing his heart like a watercourse wherever You please. Thank You for assuring me that he can not plan or understand his own way because You are the one who determines and directs his steps. Please teach me how to express my faith in love because Your Word tells us that unfailing love is what every man desires. And I ask You, Lord, to work in me to will and act according to Your good purpose, to make me the wife You want me to be. I believe You and I am Your disciple. I want to understand and live according to Your teachings because then I will know the truth and the truth will set me free. Thank You for Your Word, which is a lamp to my feet and a light for my path. You are my refuge and my shield, so I put my hope in Your Word. Since faith is the substance of things hoped for and the evidence of things not seen, please show me how to live by faith and not shrink back so You will be pleased with me because I know it’s impossible to please You without faith. And thank You for Your promise that whatever I ask for in prayer and believe, I will receive. Please teach me to walk by faith and not by sight because Jesus said that according to my faith it will be done to me. 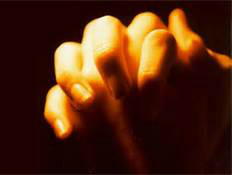 So, Lord, I ask You to please give me the faith and patience necessary to inherit all that You have promised. Teach me to ALWAYS rest in the confidence I have in You because Your Word tells me that it will be richly rewarded. Help me persevere so that when I have done Your will, God, I will receive what You have promised. And help me keep Your commandments and do the things that are pleasing in Your sight so I can receive whatever I ask from You, including the restoration of my marriage. I boldly ask for faith enabling me to speak to mountains and make them move, and the confidence and assurance that nothing is impossible. Thank You, Lord, that I can do all things through Christ Who strengthens me, and That with You, nothing is impossible, including living my life full of love, joy, peace, patience, kindness, goodness, faithfulness, gentleness and self-control; even during this time of trouble, which Your Word assures me You will turn into a gateway of hope. And thank You that Your Spirit intercedes for me, Your saint, in accordance with Your will, and that You are working all things together for my good because I love You and am called according to Your purpose. 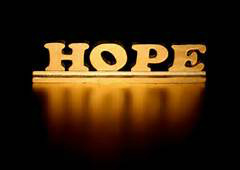 I thank You and praise You, Lord, that Your thoughts and plans for me and my family are for our welfare and peace and not for evil, which give me hope in our final outcome. And I thank You, Lord, that I can be still and know that You are God and that You will be exalted in all the earth and in heaven and in the restoration of my marriage. For all this, I ask and give thanks in the most precious and powerful name of Jesus Christ, my Lord and Savior. Amen. Pray Every Day for divine intervention . . . don't stop praying! With God all things are possible! Be persistent! Allow this time of separation to change you! So that when you get back together, you will help your spouse to live his/her life in the order of God's way too. Marriage is a gift from God . 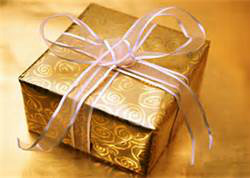 . .
Every gift from God will be contested by Satan. Marriage is a gift from God. The very day you married, satan was angry. Satan was angry that Job's family was a source of delight to God, his provider. Look out, God's blessing on your home invites satan's attack. He will place thorns in your bed. He wants to be the third party in your marriage. He wants to agitate and disappoint, using your weaknesses. He inspires unrealistic expectations, diverts your focus from servant-hood to self-absorption. He fuels your imagination through television and unhealthy relationships, until God's presence cease to be the atmosphere of your home or the goal of your marriage. Beware of satan's inroads. Become a watchman over your family. Fight to save your marriage and chase satan away from your marriage. Saving my marriage . . .
Click the above link in the Godly way to save your marriage. Dear God! My husband and I are having serious problems in our marriage and I don't know what else to do to save my marriage. I want to work things out but I'm hurting, lonely and not sure he wants to stay together. I need help to figure out how to save my marriage and avoid divorce. However, I'm afraid that I'm running out of time. God, please help me! Is this your daily cry to God or anyone else that can help you save your marriage? Well, although your marriage may be falling apart the good news is that God will never leave you or forsake you and your marriage can be saved. God is still rooting for you and your husband to work things out and may even bless you for your willingness and faithfulness to try and save your marriage. God has the perfect plan not only for your marriage but also your life. The key is to recognize the plan God has laid out for you. The problem in our marriage and life for that matter is that often times we put God's plan for our marriage or life on the shelf because we think we have everything under control. The problem is we tend to be selfish, narrow minded and have limited vision. We think we know what's best but many times we make bad decisions that we later regret. I have some simple but powerful actions you can take to begin to change your marriage and perhaps save your marriage. 1. Ask God daily to grant you serenity to accept the things you cannot change in your marriage, the courage to change the things you can and the wisdom to know the difference. 2. Pray specifically for your husband every day. Ask God to bless whatever work he does and give him wisdom and discernment in dealing with people he comes in contact with. Ask God to protect him and keep him from anything that is harmful to your marriage. 3. As God to show you areas in your marriage where you can grow and compliment your husband to be his soul mate and lover for life. 4. Finally, ask God each day to show you and your husband how to build a closer relationship with Him and each other. God encourages us to seek and we will find, ask and it shall be given to us, knock and the door will be open. Simply put, God is in your corner and wants to help you save your marriage. I hope you believe in your heart and mind and continue to seek and ask God for favor and blessings for your husband and your marriage. You will be amazed at how quickly your marriage can be turned around when your focus and priorities are in order. I'd like to encourage you to take another step and look at some other vital ways you can settle the issue how to save my marriage and no longer be worried about a divorce. The broken road . . .
Who is really influencing you . . .
Is there someone in your life who just rubs you the wrong way? Is it you wife . . . or husband? If there is, it may surprise you to learn that it’s not really that person who is creating the rub. There is someone else at work, your real enemy, and he may be using them in an attempt to gain an inroad to your life. To destroy your marriage . There is a spiritual war going on, and as a believer, you must be aware of it. I’m not going to get into this thing about, “Are people possessed, oppressed, or depressed?” I believe it’s useless to debate that. In the Greek where the Bible says a person was demon possessed, the word literally means “demonized.” It just means they were under the control of the devil. Christianity has tried to make something out of possessed, oppressed, or depressed. But it’s not in Scripture. The fact is that people are being influenced and controlled and used by the devil; they really are. This needs to be said because there are a lot of people who honestly believe that all the demons are in Africa. I’ve had good friends come against me and do some pretty mean things. And you know what, I was able to look right past what they did and forgive them. I could see that Satan was taking advantage of them to hurt me through some weak area in their lives. When you finally see that, you don’t get angry or bitter with the person, and you are able walk in forgiveness. Then, when they do turn around, the relationship can be reestablished. Then Jesus turned and spoke these words to Peter: “Get behind me Satan.” I’m sure Peter was shocked, but Jesus wasn’t really talking to him; He was talking about Satan to Satan, the one who was controlling Peter. Peter’s words were not coming from God; they were inconsistent with the will of God. Peter was being inspired and controlled by the devil in the things he said. Now, that’s a pretty strong statement, and there are a lot of people that honestly think this is a little over the top. They think they don’t need to respond to people this way. But I can guarantee you that there are times that Satan is speaking directly to you through people. He is using people to get at you. Whether you recognize it or not, this goes on much more than you know. You are in a spiritual war. God - Help My Marriage! Going through marital problems at the moment? Hopefully not. But if you are, or to prepare for any problems that might develop later on, here is some insight that will patch up almost any strained relationship. The “customary” way to patch up a troubled relationship is when the offending party admits their guilt to the other person, and forgiveness is granted. This “miracle” technique is just the OPPOSITE. Each person admits out loud to God and the otherperson that they each assume full responsibility for being the guilty person themselves . . . even if they are not. By humbling oneself in this matter … God’s spirit is freely released to convict all wrongdoing … possibly in both couples … then healing will begin very quickly. ‘Lord, I come to You right now, and I ask forgiveness for offending You this day. I now receive Your forgiveness. I also ask that You help my wife to forgive me for what I’ve said and/or done to hurt her. ‘And now, Lord, I admit 100% responsibility for the conflict in our marriage. I refuse to cast any blame on my wife. I confess to You, and to her, that I’m the one to blame for our conflict, no matter what has happened. Now it’s the wife’s turn. She is to pray the identical prayer. She’s to confess before God and her husband that she’s 100% responsible for the conflict in the marriage, no matter what has happened, just like her mate did. Not 1% or 99%; fully 100% at fault. The natural mind says this is crazy. “Why should I admit fault when it isn’t my fault?” The question is: Do you want your relationship to be restored or not? Pride and anger are usually the two reasons why both parties have such a difficult time entering into this type of a covenant when they are having conflict. If a couple will make a covenant with each other during a time of tranquility in their relationship that they will promise to use this “miracle” technique in the future if it is ever needed … it will be much easier to implement once feelings get hurt. “God resists the proud, but gives grace to the humble.” (James 4:6 & 1 Peter 5:5). What better way for two people to get God’s grace into their strained marriage than both admitting out loud to each other and to God that they themselves are to blame (even though they may not be), rather than blaming the other person for being at fault? Give it a try. It’s guaranteed to get the devil out of your marriage faster than you can call a divorce lawyer, and a whole lot cheaper. Marriage counselinf in a nutshell . 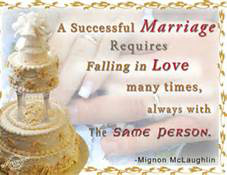 . . click the below link to a website designed to help in your marriage. Jam packed with information to assist and give hope. . . for with God all things are possible! When a heart breaks . . . let the healing tears fall. God keeps your tears in a bottle as a prayer to Him. Cry out to God! Draw from the Lover of your soul beloved . . . Your last and only ray of hope. God will guide you to the shore. For, on His promises you can depend. And that road becomes hard to walk. Listen, with an attentive heart. For, Jesus is there to talk. Never give up and throw in the towel. Our Savior has never left you. He has been there all the while. To Him you can cling. Reach out for that hem of His garment. With the Master, you can have it all. Don't ever let go of that last thread of hope.